We are private property buyers & experience investors, NOT Real Estate agents. We offer a range of solutions for a wide range of clients. Sell Your House TODAY! Quick House Sell – Fair Offer. NO Commission, NO Marketing Cost, No Hassle, No Open Homes. Sell Your House As-Is, No Repair Needed. Stay To Rent Back or leave when you are ready and we can provide flexible terms. We have a Data base of buyers who are waiting on houses today in almost every price range. So, whether you are getting ready to sell your current house or investment property and move on towards your dream home, or circumstances have left you in need of some help to quickly sell your property – we can help make your real estate desires into reality. If you are considering selling your property anywhere in N.Z please click on Get An OFFER Within 24h and fill in the assessment form with NO obligation. If you require a fast property sale with quick settlement we can give you an offer to purchase within 24-48 hours. We Helped Many And Can Help You Too! When the bank decides to sell your house to recover the amount of money they loaned you to buy a house, you have an option to either sit back and let them handle the process their way or jump in with your own “sell my house fast” solutions. 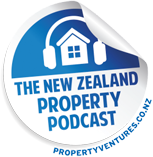 At WeBuyProperty.co.nz, we will offer you an offer to buy your house within 48 hours of making contact with us. There is no need to lose more money by allowing the bank to auction the house for a price that is way below the market value. On the other hand, dealing with us guarantees a fair price for your property and the deposit and equity already contributed does not get lost. Postponing mortgage payment installments can put you in a situation where the amount of money the bank owes you is too much to pay in lump sum. For every month that you fail to pay an installment with the bank, the interest charged on that credit facility goes up. We help you to put a halt on the credit status by paying your arrears and then we can get into an arrangement on how you will pay us. This will save you from getting bank warnings and the status of your credit report with be maintained. Do you feel that you have too much to handle yet too little resources to cover everything? Financial struggles are common but if you find yourself in a situation where you have priority bills and payments to pay, then you need help. We will help you to pay your mortgage installments so that you do not fall back on them. Just let us know for how long you need us to handle that function for you and we will draw up a flexible arrangement for you. Divorce and separation disputes are often drastic and none of the involved parties is willing to wait. How else do you split a house in half without having to live under the same roof for any longer? Giving you a cash exchange of the value of the house gives many homeowners settling divorce disputes a quick closure to the matter. Quick house sell is a solution that we offer our clients in such situations without having to undergo anymore hassle. Are you tired of being a landlord because it has been a tough experience dealing with non-compliant tenants and unstable income? Under ideal conditions, being a landlord is the best kind of business because with minimal recurrent input, you are guaranteed of a consistent amount of rental income at the end of the month. The reality is sometime unbearable especially when this income is expected to cater for other life expenses. We will give you cash for your house to take the burden of uncertainty off your back and you can find other projects to rely on. No commission house sell is one of our policies so don’t be worried about getting less than you bargained for. Having been in operation in New Zealand for years, we have come across many families wishing to relocate because of new job opportunities. Sometimes the option of renting out your home is best if you anticipate coming back in a few years or if you are moving with the region. The situation is different when you have landed your dream job and your children will be starting school in the new location. With the excitement of moving to a new place and starting life afresh, the burden of dealing with real estate agents and open homes can be overwhelming. We will offer you a good bargain and make the process as fast as possible. Imagine having cash for your house within 48 hours of expressing your intention to sell it. Auckland house buyers are on standby all the time in wait for houses like yours. Are you selling vacant residential land or section of it? Land development can be a hustle especially if you have extra land that you want to dispose. We arrange for quick sale of such properties and make the funds available to you immediately. Development projects require a lot of capital to take off the ground and we understand that not everyone can access bulk financing. Majority of land lies unutilized in residential areas for lack of financing and we wish to change this by funding at and stage of development or becoming a Joint Venture partner. Our assessors will visit your site to establish if your property falls within our criteria. You as the property owner will not be asked to fund any stage of the sale neither will we ask you for a commission from the amount of money you get. Inheritance property in most cases is owned by more than one person. To avoid future disputes, most families prefer that the estate is sold and the proceeds shared amongst the heirs. Provided that the executor of the will has the legal approval from the court to oversee the division of property, then we will provide an easy and quick solution for converting property into cash in any part of New Zealand. Estates held in probate attract numerous charges in the different levels of execution but not in sales carried out by us. There is whatsoever no obligation and what you get as a value of property reaches the owners in its entirety. What do you do when your house has been damaged by an earthquake? You cannot live in it and you cannot find a buyer to buy it in its current condition. While an earthquake has the potential to change your life forever in the negative, we turn the fortunes around for you by giving a damaged house some value. We understand that the cost of insurance can be costly and earthquakes are an act of Nature that is why their effects are so ravaging. Our team at WeBuyProperty.co.nz provides you with a quick and simple solution for selling your damaged, uninsured house. There is no level of damage that we do not consider. After contacting us with this Sell My House Form, our acquisition team will take time to review the information you have provided to us and contact you within 24 hours. This stage will be for making clarifications and also schedule time to view the property. It is only after we have been to the site of your property that we will make an offer for you to think through. Deposit of the cost agreed for the property will be made immediately when you consent to the terms of the offer. Empathy is one of our core values and when you entrust us to sell your house or property you will witness it firsthand. We respond to correspondence from potential clients with urgency because we understand how daunting the process of a home sale can be. We then handle the sale as if it were our own private property. If you consider the near market value and no obligation policy then doing business with us beats hiring the services of a real estate agency. The 5 Key Renovation Tips That Increase Home Value.